Imagine what life would be like if you began each day with small actions that created a chain reaction of positive benefits throughout your life. All of this can be possible when you focus on small actions that relate to your important goals. These habits don’t require much effort. In fact, most only take five minutes or less to complete. But they have a powerful compounding effect if you repeat them often enough. This can include making a healthy drink, writing a loving message to a loved one, or identifying three important tasks to work on first thing in the morning. Do any of these repeatedly and you’ll notice a vast improvement in your health, relationships, and work productivity. Think of what your life would be like if your entire day was filled with these small actions. Wouldn’t your life improve without a whole lot of effort? I bet it would! It’s easy to disregard the power of small actions. You might think that a simple task can’t make a difference in your life. If you feel this way, then I challenge you to complete a simple exercise that, coincidentally, only requires five minutes of your time. Right now, there is someone in your life who you love with all your heart. This could be a spouse, romantic partner, parent, child, or close friend. He or she means the world to you, but maybe you haven’t said that lately. Right now (or sometime today), I want you to tell this person that you love them. The method for doing this is up to you. It could be on the phone, in person, or through a short note. Heck, you could even send a text message if you’re shy about how this message will be received. Simply tell this person, in a few sentences, how much he or she means to you. Stop reading this book right now and talk to that special someone in your life! So, what was it like to express your feelings to someone you love? I imagine it felt pretty awesome! How long did it take to complete this simple exercise? A few minutes or so? Or was it maybe longer because the conversation started flowing? Now, think about what life would be like if this were a daily habit. You could repeat this action for every important person in your life, sending them thoughtful messages full of warmth and love. The method you choose for expressing these feelings is irrelevant. It could be a phone call, handwritten message, Post-it note, text message, or eCard if this person lives far away. The only important thing is to do it! Consider how this would positively impact your relationships. The people you care for would start their days hearing loving messages. You would start your day knowing that you’ve brightened the day of someone important. All of this is possible when you add small actions to your day. We’ve all heard that story of the overnight success. This is the story of the musician who records a double-platinum debut album, or the startup CEO who sells his company for a billion dollars, or the average Joe who hits the multimillion-dollar lottery jackpot. Our society loves stories about ordinary people who achieve amazing results with seemingly very little effort. Unfortunately, the story of the overnight success is nothing more than a myth. For every person who strikes it rich, there are thousands of folks who languish in obscurity. The cause of all this is the belief that success is an event. That you can transition from “zero to hero” without a lot of effort. That you can start as a nobody, get discovered by the right person who notices your unique talent, and suddenly skyrocket up the ranks of the rich and famous. Unfortunately, this story of the overnight success rarely happens in real life. If you took the time to talk to any successful person, she would tell you that success is always a process. It’s a daily slog where most of your time is spent doing the same thing over and over. Rinse and repeat. Day in and day out. A few wins along the way, and then a few setbacks. Eventually, by working hard, and often for many, many years, you’ll become successful. That’s the reality of success. It’s not luck or an event—just a lot of hard work and daily action. 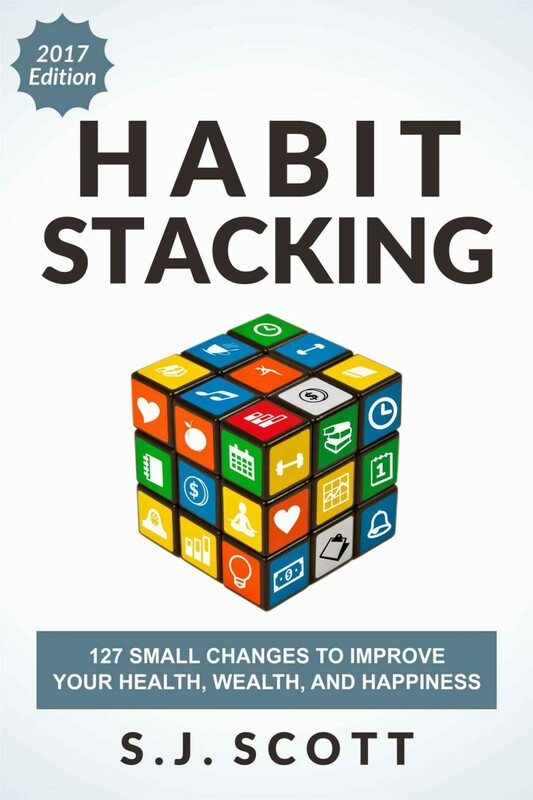 • Identifying the most important activities (or habits) related to their goals. • Repeating these activities every day. Simply put, when you know the important tasks related to your goal and do them continuously, you’ll surpass the folks who spend their time making excuses about why they’re not successful. That compound effect that Olson talks about can be achieved by introducing small actions into your life. The little things will have a positive or negative impact on every area of your life. Just think back to the example from before. I talked about how the consistency of sending a nice message to your loved ones will vastly improve your interpersonal relationships. Now, imagine what would happen if you sent a message of love just to your spouse. I guarantee the quality of your relationship would skyrocket. In contrast, imagine the opposite of this scenario. Each day you ignore, mock, and belittle your spouse. Do this once or twice and it’ll be somewhat damaging to your relationship. But I guarantee that if this were your daily routine, you would eventually win a one-way ticket to divorce city. One article that I recently read supports this idea. The author talked about why it’s important to “sweat the small stuff.” In fact, you should look for those small bids for emotional connection by giving attention, interest, affection, and support to the important people in your life. Really, all the people in your life need are the small gestures that show you care. Now, the interesting thing about small actions is how surprisingly easy they are to complete. Usually they only take a few minutes to do, yet they are often pushed aside because they don’t seem immediately important—like that nine o’clock presentation for your job. Even worse: a small action is often overlooked due to its level of ease. You can convince yourself that you’ll “get around” to it. The task doesn’t require much effort, so you never feel the need to schedule it into your day. Unfortunately, what usually happens is you end the day without doing it. This is what I call the “I’ll remember to do it” paradox. How many times have you told yourself that you’ll remember to complete a task, only to realize hours later that you never got around to it? It might be a quick errand, a simple task, or even a habit that only requires a few minutes of your time (like taking a vitamin or flossing your teeth). Some actions seem so easy to complete that you don’t feel it’s important to create a reminder to do them. They’re too small to fail. But let me ask you this: how many times have you followed through on one of these simple tasks? I bet not very often. That’s the paradox when it comes to these small habits. They’re super easy to do, but they get overlooked because there isn’t an immediate negative consequence for not completing them. While each small action doesn’t require much effort, you still need a framework that will guarantee that you do it 100% of the time. Specifically, each action requires a reminder to complete it. That said, if you filled your life with dozens of alerts, alarms, and Post-it notes, then you’d probably drive yourself crazy with a feeling of overwhelm. That’s why I recommend grouping these small actions together, using a concept I call habit stacking.